Resolving escalated customer and/or MNOs complaints. Knowledge of Windows OS and LINUX/UNIX operating systems. Ability to work independently under pressure with minimum supervision a university degree with relevant experience. A minimum of three (3) years’ experience post NYSC in administering and supporting SQL and Web applications, with a proven record of success. 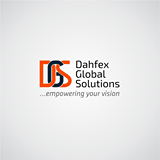 Interested and qualified candidates should send their CV's to:careers@dahfexglobalsols.com indicating the position applied for as the subject of the mail.